The box that your stompbox came in has a sticker on the side with the serial number. If you have already registered your stompbox it will appear on the Registered Products page of your profile. Log in and click the Registered Products tab on your profile page. 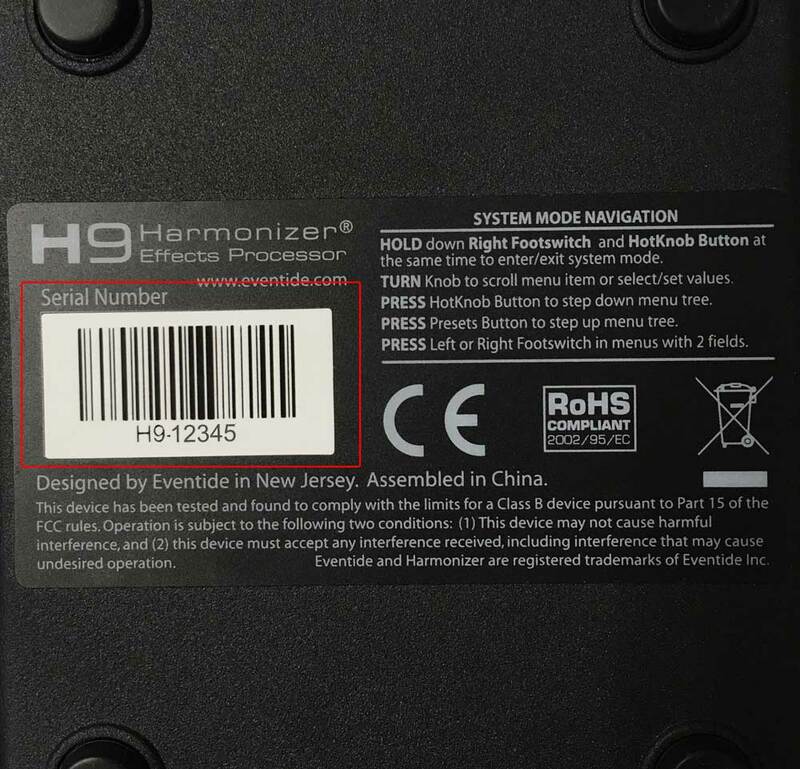 You can use the system mode of your H9, ModFactor, PitchFactor, Space or TimeFactor stompbox to give you details about your device, including its serial number. Your serial number will scroll by. It starts with "H9-"
Press and hold the HOTKNOB button and Right Footswitch simultaneously for a few seconds to exit System Mode. Turn the Encoder knob until the display reads UTILITY and push the Encoder knob to enter the UTILITY menu. Press and hold the Encoder knob and Right Footswitch simultaneously for a few seconds to exit System Mode. 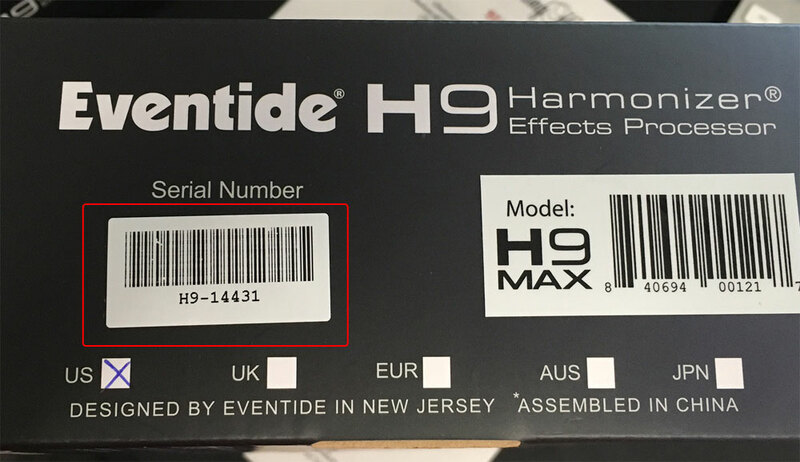 If you use H9 Control with your H9, ModFactor, PitchFactor, Space or TimeFactor make sure it's connected, fire up H9 Control and click on the Pedal tab. The serial number will be displayed at the top of the screen in the middle.